Get to know your market vendors with our vendor highlights. One of the best parts about a farmers market is that it allows the customer to interact with the person who produced their food! Learn more about a vendor’s background, what they sell, and how they get their products to people like you. 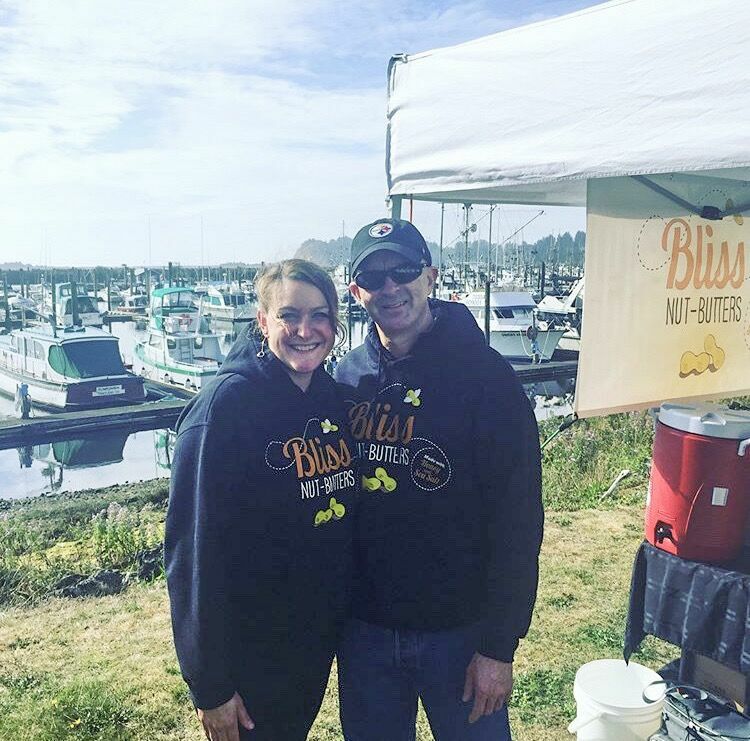 For our first vendor highlight of the 2019 McMinnville Farmers Market season, we’ve chosen to feature Bliss Nut Butters! Daniell Bliss, founder of Bliss Nut Butters, started creating peanut butter to fuel her running lifestyle. With the help of Daniell’s husband and family, Bliss Nut Butters has been able to evolve and continue creating new and delicious recipes for everyone to enjoy! This year marks Bliss Nut Butters’ 4th year at the McMinnville Farmers Market. In full season, you can find Bliss at about 18 farmers markets each WEEK! They love connecting with their customer base through the face-to-face interaction that the farmers market provides. This year they will return with their nut and seed butters made with honey and sea-salt, as well as one Keto/Vegan almond butter. They may even be testing out a new flavor this summer that is specially exclusive to farmers markets!